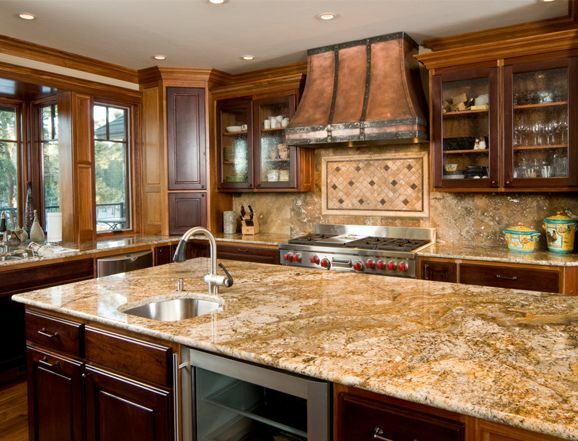 Hiring a kitchen remodeling contractor NYC is a challenging task. You need to explore many options before shortlisting your contractor. A kitchen is a sacred place for homemakers, one that they would regularly use to prepare and eat meals. Meal preparation requires complex tools and tasks, which makes it imperative to redesign your kitchen using an efficient layout. The layout needs to be organized to optimize working efficiency; there should be ample working space, and everything needs to be in the right place. The kitchen also needs to be designed in an organized fashion as it makes cleaning and assembling cutlery simple. Apart from working efficiency, you would want your kitchen to feel vibrant and lively. You would not want to work in a dim lit kitchen that offers poor visibility. When you hire a contractor, you rely on their skills and abilities to look after such details.The kitchen is perhaps the most important place in the house. Remodeling a kitchen with the latest amenities, within a limited budget requires the skills, expertise, and experience of a good kitchen remodeling designer. You expect your contractor to revamp your kitchen into an aesthetic and comfortable working area, which is well organized. On top of that, you want the fixtures to be of good quality, to last for years to come.Here are a few tips to consider when hiring a kitchen remodeling contractor. It is critical that you verify the credentials of your contractor before proceeding with the work. The last thing you want to do is hire a contractor that is not fully qualified to remodel kitchens. Look for contractors that have obtained local certifications and are authorized. A licensed and experienced contractor would have the necessary permissions from the government that would lower the risks of legal implications. Additionally, a licensed contractor is more likely to have resourceful contacts for procuring quality products for your kitchen.